Blend together the butter, eggs, xylitol and vanilla. Add the pumpkin puree, coconut flour, baking powder, pumpkin spice and salt. Whisk until there are no lumps and it is a smooth batter. 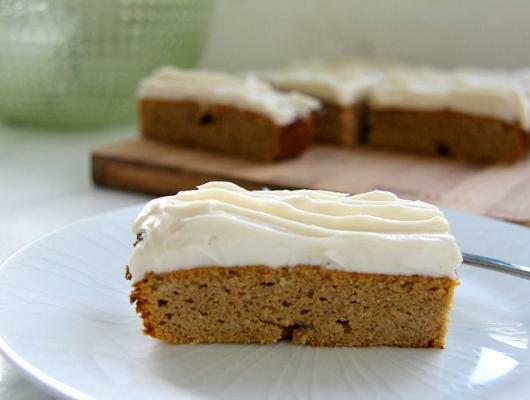 Pumpkin bars slathered with a cream cheese frosting are a delicious cake baked with coconut flour. 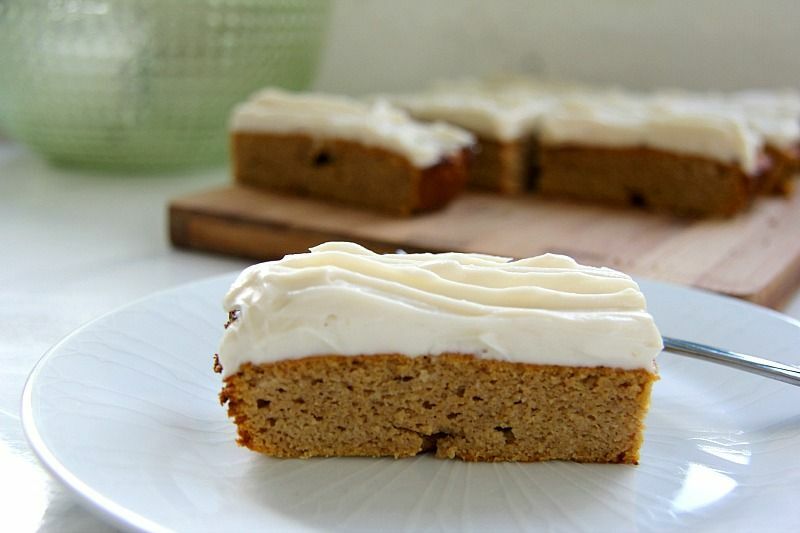 A low carb and gluten free cake that will have you reaching for another.